Get a non-stick chip pan set. Includes a wooden spatula and spoon! 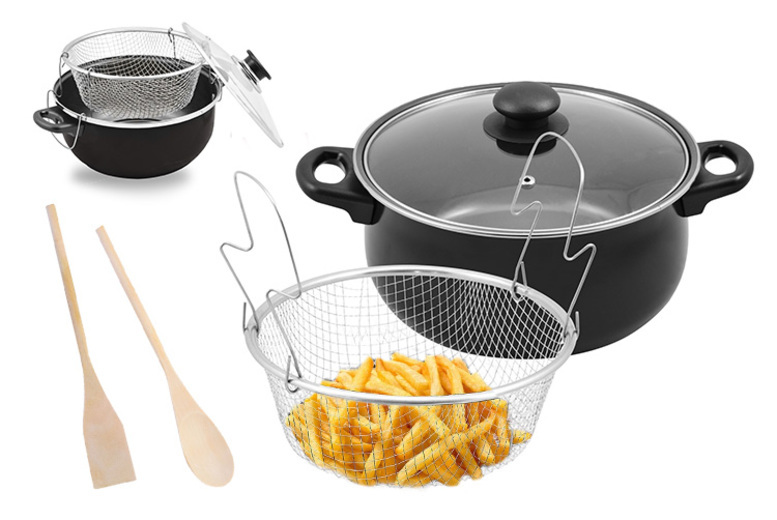 The 2L frying pan features a glass lid and a two-handle wire chip basket. Perfect for frying chips, wings, chicken and more! Suitable for gas and electric cookers. Size: 24 cm.